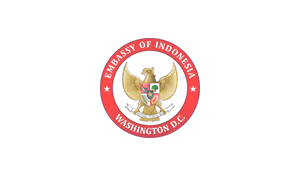 Indonesian Gamelan Performance Amazed the United States Public in Washington, D.C. – Embassy of the Republic of Indonesia | Washington D.C.
Embassy of the Republic of Indonesia, Washington, D.C.
Washington, D.C., January 23rd, 2019: The unique and unprecedented performance of Indonesian Embassy’s Javanese Gamelan, Balinese Gamelan, and a full orchestra, which was collaboratively presented by the Embassy of the Republic of Indonesia in Washington, D.C., PostClassical Ensemble, and the Washington National Cathedral, astonished more than 500 concert audiences on Wednesday night (1/23). 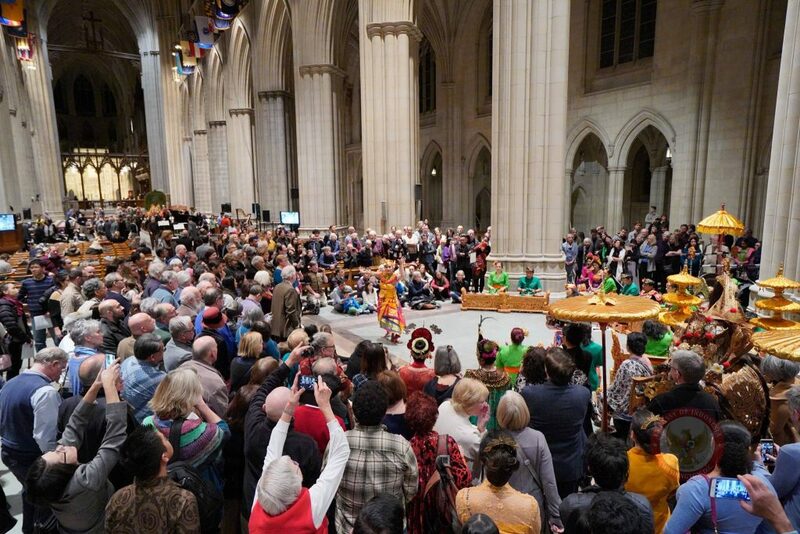 The cold weather, with outside temperature around 26 degrees Fahrenheit, didn’t diminish audiences’ enthusiasm to crowd the Washington National Cathedral, a D.C.’s iconic space widely deemed as a symbol of harmony and unity of the nation where the “Cultural Fusion: The Gamelan Experience Mega Concert” took place. 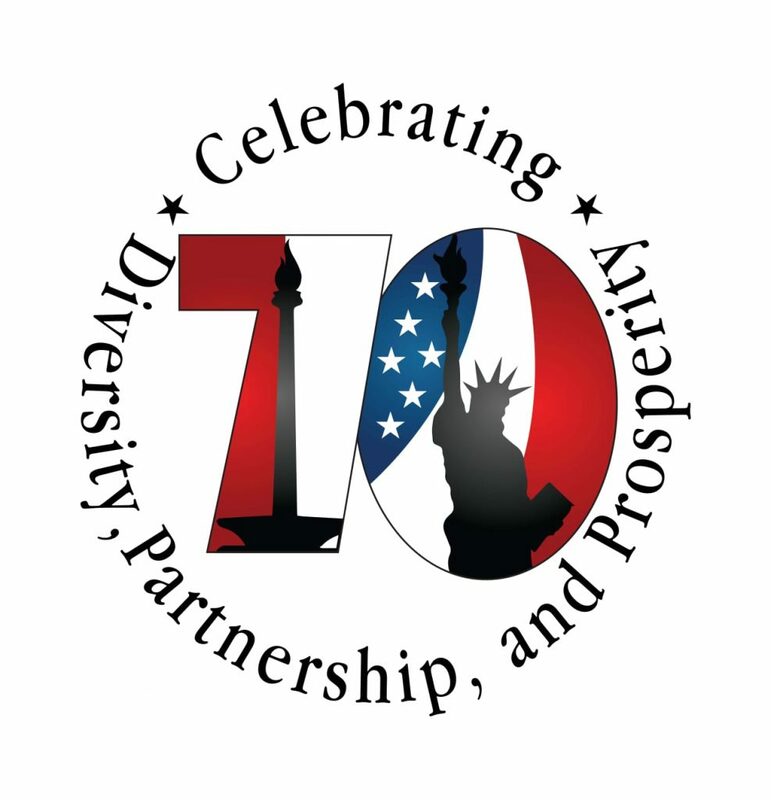 The 3-hour concert was held as one of the Indonesian Embassy’s events in commemorating 70th anniversary of Indonesia and the United States diplomatic relations. 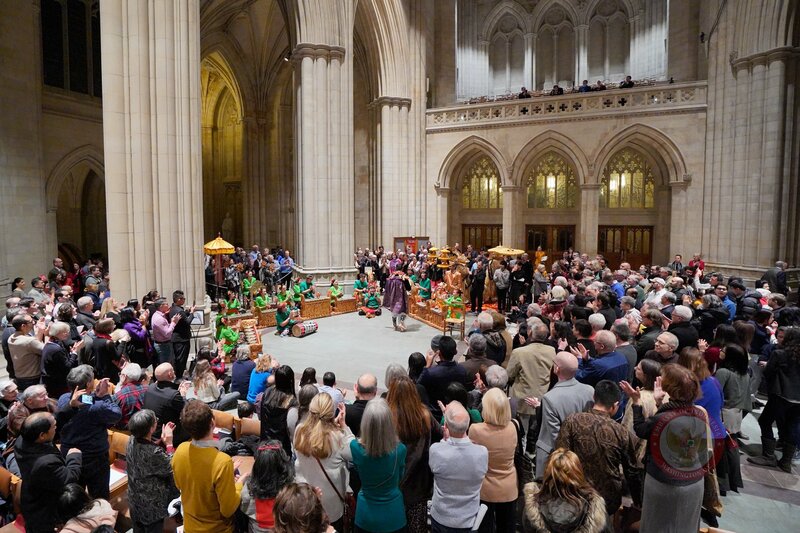 Lir-ilir and Sesonderan dance performed by the Javanese Gamelan opened the mega concert and welcomed audiences entering the Cathedral. Following this, a series of Indonesian traditional dances which were performed later on in the program, Merak (Peacock) dance, accompanied by the Javanese Gamelan’s performance, as well as Margapati and Topeng Tua (Old Mask), accompanied by the Balinese Gamelan’s performance, put the audiences in a constant state of captivation. 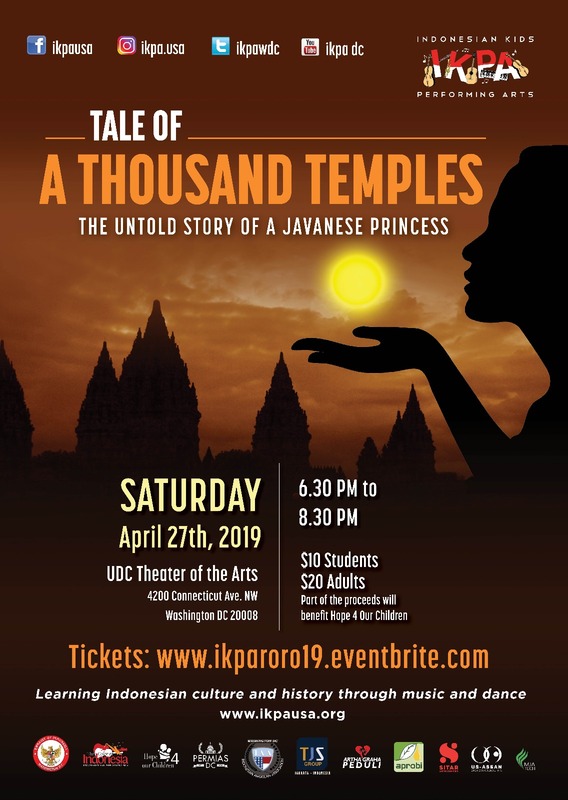 Interestingly, some of the Javanese and Balinese Gamelan performers are United States citizens who have an avid interest on Indonesian cultures. 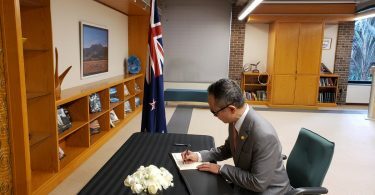 They routinely attended weekly practices at the Indonesian Embassy under the leadership of Muryanto (Javanese Gamelan) and I Nyoman Suadin (Balinese Gamelan). The next line of the program presented Lou Harrison’s well-known Gamelan-influenced compositions for piano and orchestra as well as various piano masterpieces. The Mega Concert was intended to showcase Gamelan’s immense influence in the development of Western classical music. “We are here to celebrate a unique and strong connection between the Gamelan and Western classical music,” said Mr. Iwan Freddy Hari Susanto, Indonesian Deputy Chief of Mission (DCM), in his remarks, on behalf of the Indonesian Ambassador, H.E. Mr. Budi Bowoleksono. 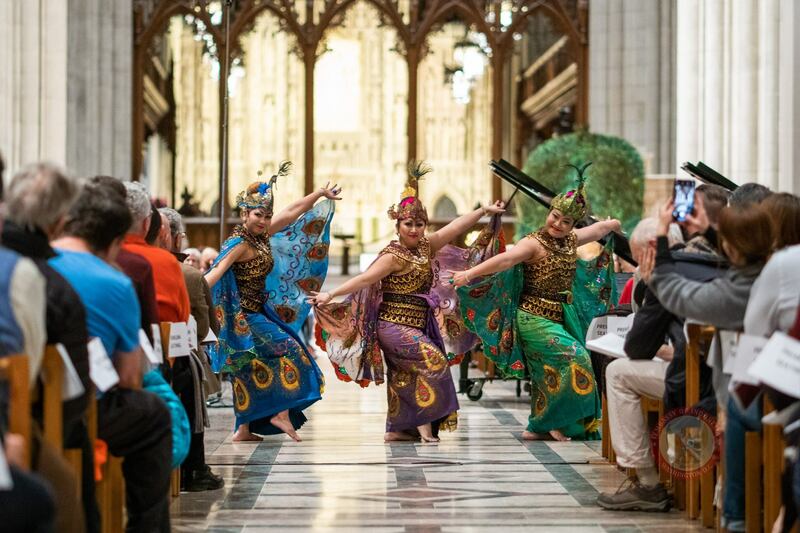 Mr. Susanto added that the unique occasion was a true testament of the Gamelan’s long-standing role as a revelatory inspiration for some of well-known European and American composers. This was also echoed by Joseph Horrowitz, the Executive Director of PostClassical Ensemble, who highlighted that there was no other non-western musical genre has impacted so powerfully on the western tradition. Famous composers such as Claude Debussy, Lou Harrison and Collin McPhee, were among Western composers whose masterpieces have been immensely inspired by the Gamelan’s wonderful nature and unique sound characteristics which are completely different from any other in Western musical styles. Against such context, the mega concert acknowledged the Gamelan’s credential as a unifying element capable of bridging understandings among nations. This musical collaboration was also intended to exemplify seven decades of close relationship between Indonesia and the United States. The performance received warm reception and high appreciation from the audiences. 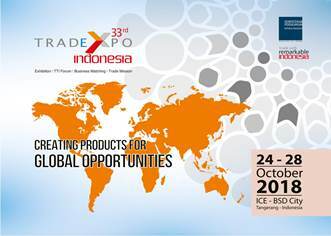 In addition to widen their knowledge about Gamelan, this unique event also managed to intrigue more of the audiences’ curiosity and admiration, not only towards Gamelan, but also Indonesian cultures in general. Some of them also expressed their interests for watching future performances. One of the audiences, Nicole, shared her thoughts that both the Javanese and the Balinese Gamelan performance were amazing. “It was my first time watching an Indonesian gamelan performance. I will definitely come if there is a similar performance in the future,” added Nicole. Another audience, George, shared a similar appreciation. 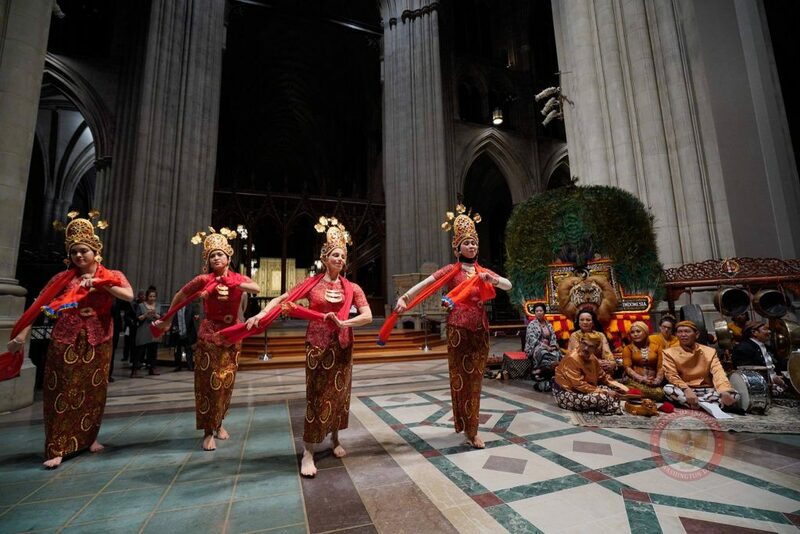 “The collaboration between the Gamelan performance and classical music performance was very impressive. Gamelan indeed has very rich and colorful tones,” added George who attended the concert with his wife. Aside from the general public who were not only of music and culture enthusiasts, the unique Gamelan show was also attended by ambassadors and senior diplomats from ASEAN and other countries, CEOs, and other Indonesian Embassy’s counterparts. Closing the evening was a light reception serving Indonesian specialty coffee and tea coupled with Indonesian mixed-roots chips among others.